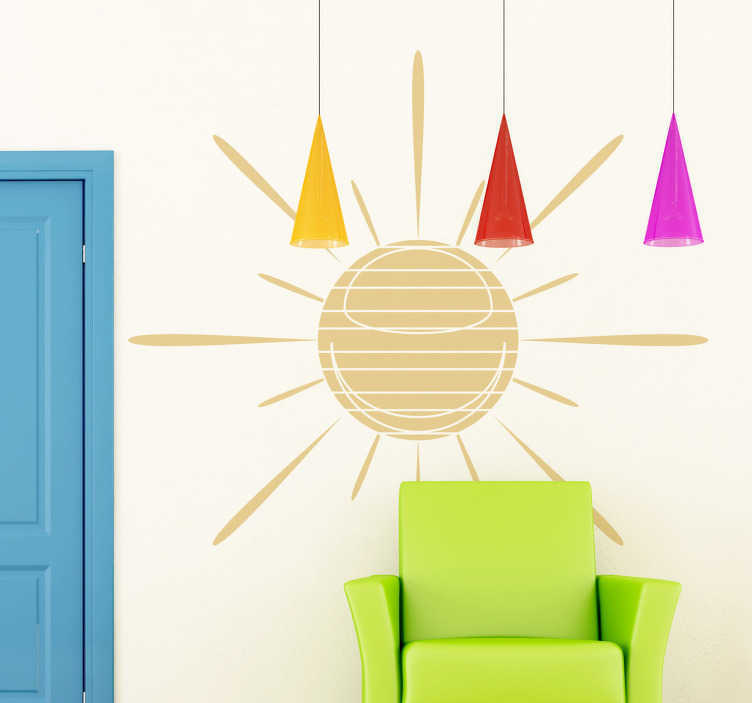 A illustrative sticker of a sun with lines to make your home bright! Superb decal to decorate to bring sunshine to your home! A sticker of a customised sticker which creates a friendly atmosphere in any room. This is the right sticker to decorate any empty wall at home. Suitable sticker for children or adults. Available in different sizes. The application process is not complicated at all since all of our stickers are easy to apply.